What a truly wonderful book! I am an animal lover and once again, Clay Carmichael has written a novel with a cat as one of the main characters. Zoe is an amazing, intelligent, sharp-witted, child who suddenly finds she is to be living with an Uncle Henry she has never seen or met. Raising herself since she was young (her mother was crazy and drug addicted), Zoe has learned to survive on her own and not to get attached to the many men in and out of her mother's lives. What I liked about Zoe is that she did credit those men friends with her ability to drive, pace bets, count; street smarts that help her in life. But when she meets her Uncle Henry who is very angry, Zoe sees herself in him- especially the red hair, thorny personality, and the split in their front teeth. I loved the way Carmichael uses the cat to tell us about the area around Uncle Henry's house with the woods and fields- great for exploring. The cat has lived and seen much and it is this history that provides suspense and understanding for the reader. I loved so many of the characters- the Sheriff, Bessie, Wil, Sister, Fred and Maud- it was just as easy to dislike others like Ray and the Mayor. A wonderful tale of what it means to become a family, to be an animal lover and live life like Wild Things:) I loved this very appropriate title as I read more and more of the book - highly recommended! Teens and adults will enjoy Zoe's journey!!! 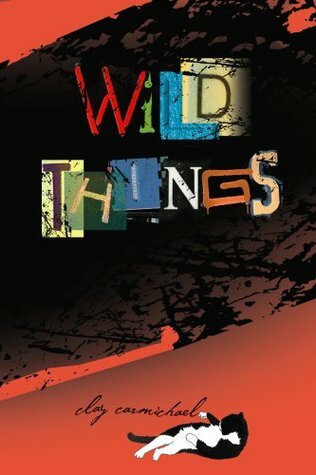 Sign into Goodreads to see if any of your friends have read Wild Things.